Welcome to 643 Looking Glass Ave. 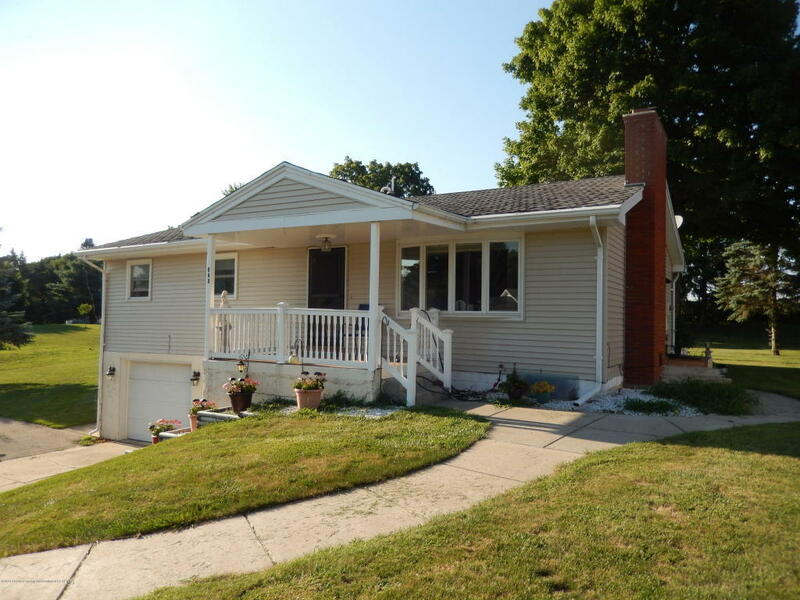 This 3 bedroom 2 full bath home has a lot to offer for a great price. Recent updates include kitchen cabinets, windows, exterior doors, water heater and furnace. Hardwood floors are throughout the kitchen, dining room and all 3 bedrooms. The full bathroom on the main level doubles as the laundry room with counter space to fold the clothes. The living room offers a large bay window and fireplace. The kitchen and dining room have an open layout and plenty of natural light from the French doors that lead to the back deck. This is a city lot but the back deck overlooks a farm field and is 2/3rd's of an acre. Don't forget about the finished basement with full bathroom. Call today for your showing. Directions: Grand River Ave to Divine Hwy right on Looking Glass home is on the left.